Evolution Powersports (EVP) a leader in the powersports industry for software tuning, exhaust systems, intake systems, clutching and turbo systems is proud to introduce some long anticipated software / hardware updates. We took feedback from customers as well as from our own testing and have integrated some new features into our software as well as hardware updated to our industry leading Maptuner X flash tool. Left Foot Brake Enabled: This feature allows brake pedal and accelerator pedal to be applied at the same time to prevent the throttle from closing while driving at speeds. Intercooler Fan Settings: The OEM intercooler fan is settings are controlled by temperature, boost, RPM and pedal position. We have adjusted all of these settings to optimize the intercooler fan cooling affects for optimum efficiency while still allowing the fan to cycle on and off. *Requires 30-Amp Mini-Blade Fuse to be installed in fuse box (location F17) in place of the OEM 25-Amp Fuse. Improved Boost response + Low/Mid Power: Optimized fuel and ignition parameters for better boost / throttle response. 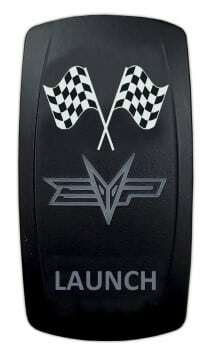 Launch Start w/ New EVP Override Switch: Our on/off switch replaces the OEM override switch which allows Launch Start from a standstill and prevents “low gear” mode. This allows operation of the gas pedal and brake pedal at the same time from a standstill to launch the car hard for drag racing. Stage 4RWi X100 (Extreme 100 Octane Tune): This stage is built on our ever popular Stage 4RWi and further pushes the limits of the stock turbocharger. Boost pressure is increased from ~19 PSI to ~22 PSI and power is optimized for use with 100 or higher octane fuel. Dune / trail tested as well as race proven in the Lucas Off-road / BITD. 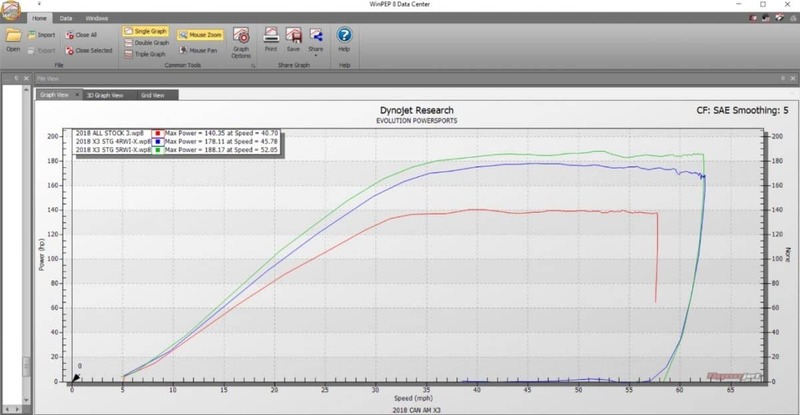 Improved power of 10-15 HP over Stage 4RWi 95 octane tune.